Two outdoor filmmakers want to tell the controversial story of mines near the Boundary Waters Canoe Area Wilderness. And they’re looking to fund the project. Minnesotans have long asked the same question, and the film “7 Generations” hopes to show viewers exactly what’s at stake. The movie’s Kickstarter shows a short trailer explaining that it will feature interviews with business owners, downstream stakeholders, and advocates from across the state. “We want to tell their story,” said Andrew Bydlon, one of the outdoor filmmakers in charge of the project. “We’re not at all opposed to taconite or iron mining,” Bydlon said. 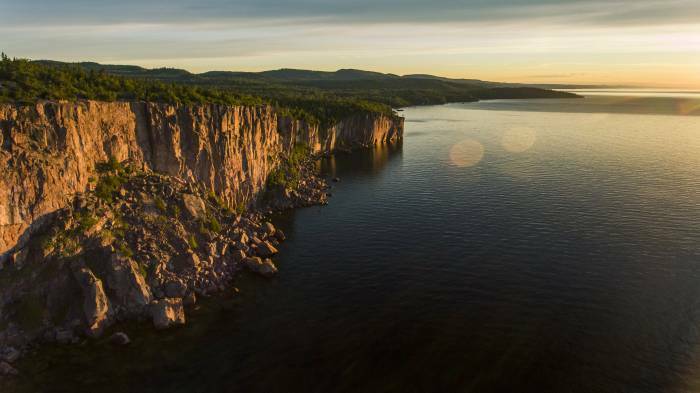 The film will focus solely on proposed sulfide-ore copper mining projects upstream of both the BWCAW and Lake Superior. Businesses that the mines would directly affect will take center stage. These include Women’s Wilderness Discovery in Ely, Minn., owned by Peta Barret. The same release highlighted a poll from Fabrizio Ward. His poll showed that 70 percent of Minnesotans oppose sulfide-ore copper mining near the Boundary Waters Canoe Area Wilderness (BWCAW). This includes the majority of residents living near the proposed mines. Women’s Wilderness Discovery, along with other outdoor businesses across the state of Minnesota, sued the Department of Interior on June 21. The lawsuits claim the reinstatement of two expired mineral leases would inflict “irreparable harm” on the BWCAW. These businesses cited the threat mining poses to small businesses that depend on clean water. They say it’s especially true in northeastern Minnesota. Sulfide-ore copper mining proposals have also drawn the attention of a larger, international outdoor company. Yvon Chouinard, founder of the clothing brand Patagonia, penned a commentary in support of BWCAW protection during this July’s Outdoor Retailer expo. A unique aspect of the opposition to both proposed projects is the prominent role that local businesses have played. “In our film, you’re going to hear from health professionals, scientists, Native Americans, local business owners, and community members on both sides of the issue,” said the filmmakers. There is no shortage of opinions on sulfide-ore copper mining in northeastern Minnesota. 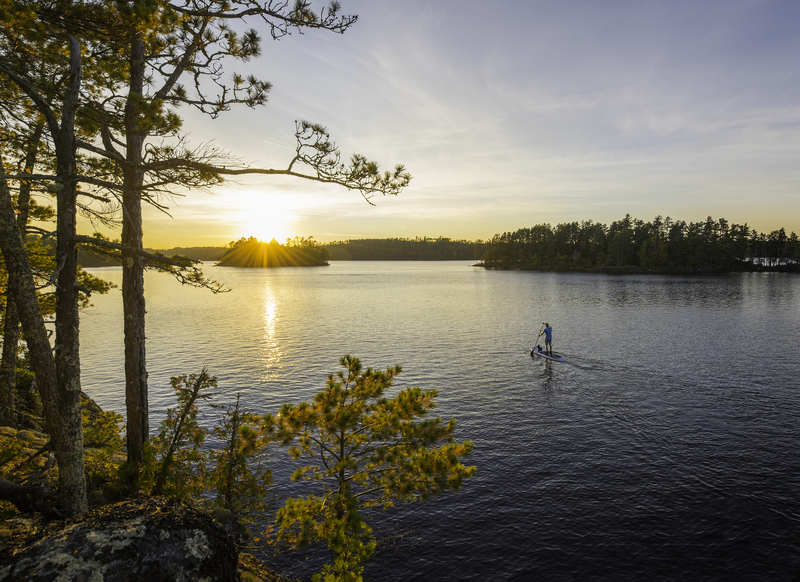 Unlikely coalitions of hikers, hunters, veterans, businesses, breweries, and local politicians have worked together to defend the BWCAW and clean water. The issue is so controversial that a local municipality once banned the sale of Duluth’s Bent Paddle Beer in Silver Bay, Minn., for the brewery’s outspoken stance against sulfide-ore copper mining. The film also highlights northeastern Minnesota’s vast stores of clean water and its role in the surrounding economy. 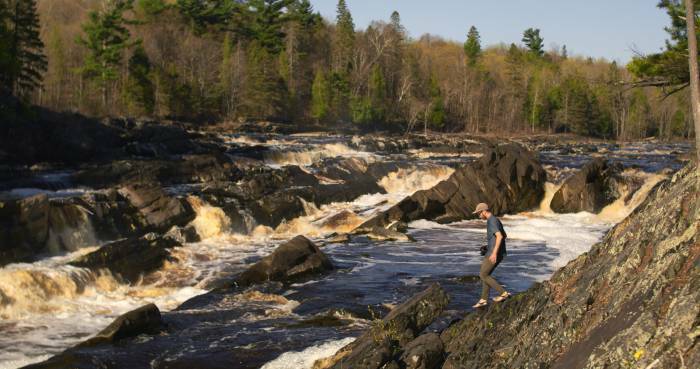 The Kickstarter points out that the area — Lake Superior, the BWCAW, and the St. Louis River — contains more than 10 percent of the world’s freshwater. Businesses say that customers visit because of the accessibility to water. 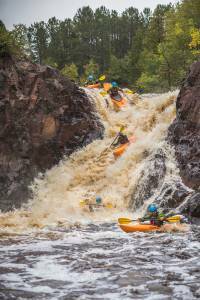 The wilderness character of the BWCAW and people’s perception of Lake Superior could change if the projects move forward. “This isn’t only an issue about fresh water. It’s about how our public lands are being used and who is going to stand up for them,” said Tom Deschenes, co-creator of the film. Public land in Minnesota is no small matter. There are more than 12 million acres of public land — state, federal, and county — in Minnesota, making up 24 percent of the state, according to the Minnesota DNR. All this public land also houses vast stores of water. More than 20 percent of fresh water in the entire U.S. National Forest system is found in the Superior National Forest. This is where the BWCAW and some of the leases in question are located. Filmmakers Bydlon and Deschenes are both born and raised in Minnesota. They say that Lake Superior and the BWCAW are where they both fell in love with the outdoors. “We want to see future generations be able to experience these places the way that we were able to growing up,” said Deschenes. “We need your help to get this information out there, to make a difference, while there is still time,” said the filmmakers on their Kickstarter page. Their project is 37 percent funded, with two weeks remaining to donate. Bydlon and Deschenes plan to release the film at festivals. They will begin touring in December of this year and release it to the public in January 2019. Both have worked in the outdoor industry. Their employers include Backpacker Magazine, Climbing Magazine, Kokopelli Packraft, Bedrock Sandals, Bote Boards, and Yaktrax. 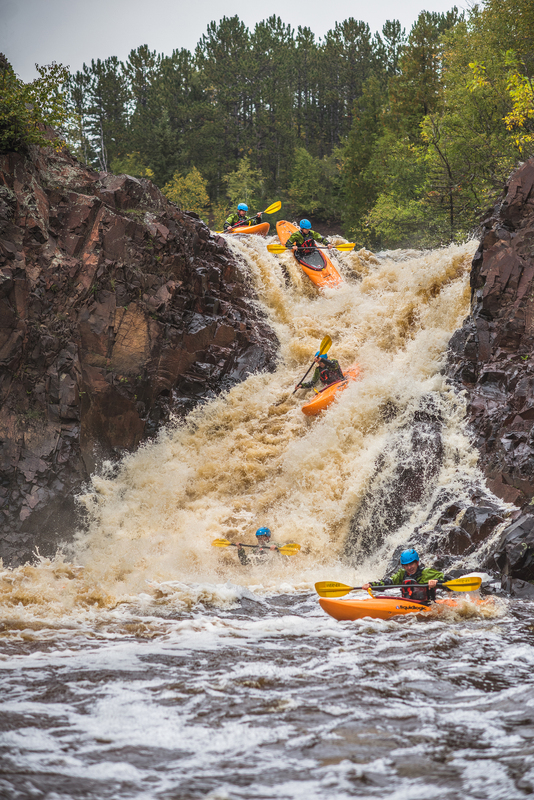 The outdoor industry is a massive, growing part of Minnesota’s economy responsible for employing 140,000 Minnesotans, according to the Outdoor Industry Association. At a time when public lands issues are as contentious as ever, “7 Generations” may add context and perspective from the individuals whose livelihoods are on the line. 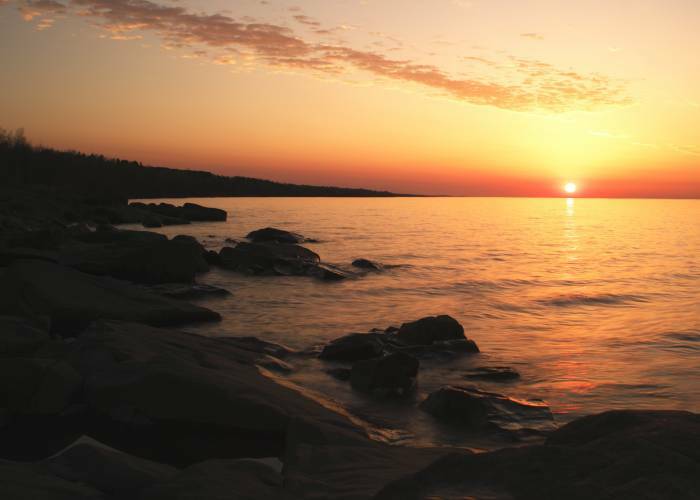 Both the sulfide-ore copper mining projects stand at the headwaters of some of Minnesota’s most iconic waterways, the Great Lakes. Water is under threat in the land of 10,000 lakes. And Minnesotans are quick to come to its defense in droves. You can learn more about the project, the filmmakers and sulfide-ore copper mining on the “7 Generations” Kickstarter page. A sixth-generation Minnesotan, Spencer Shaver is a lifelong hunter, fisherman, and conservationist. Now Conservation Policy Director at Sportsmen for the Boundary Waters, he is an alpine climber, backpacker, and former BWCAW canoe guide. In his free time, Spencer is on the water or exploring the nation’s public land.